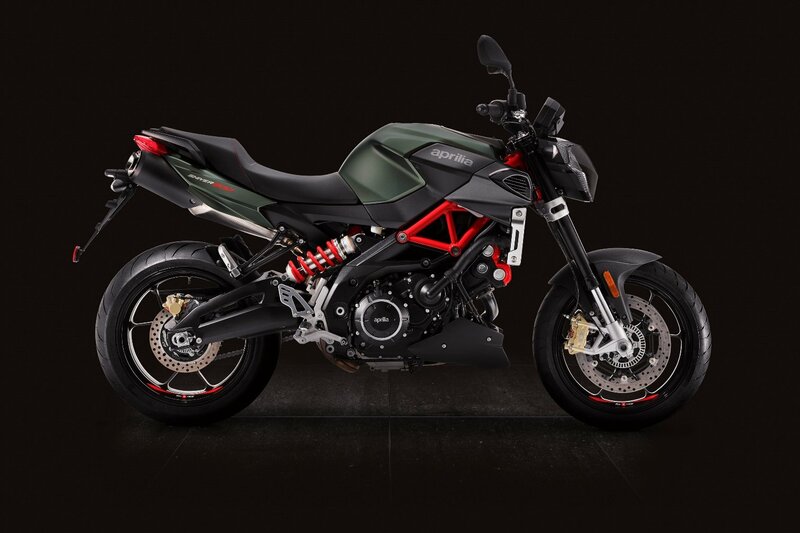 Loaded up with a brand new V-twin engine, agile new chassis architecture and a host of cutting edge technology, the Aprilia Shiver 900 pushes 70kW of power and 90Nm of torque, raising the naked sports bike bar. The original 750cc model, which the new 900 replaces, was the first production bike fitted with Ride-by-Wire technology to manage throttle valve electronics in 2007. This system was derived directly from the Aprilia Cube’s MotoGP development in 2002, and has since been replicated by all other manufacturers. With exceptional performance, and an advanced traction control system, the 2017 Shiver 900 is set to take riding pleasure to the next level without compromising the ease and comfort that have always been characteristics of this model. The new bike also comes with twin-disc stainless steel front brakes with radial calipers, while the rear has a single disc stainless steel brake. Both wheels are fitted with Continental ABS and metal braided hydraulic hosing. There’s optional Bluetooth functionality too, along with traction control as standard, ensuring safety is paramount on the new Aprilia. It has a 15-litre fuel tank and comes with a stainless steel exhaust, with 3-way catalytic converter. The 2-cylinder 4-stroke has a maximum power RPM of 8,750 and a torque range that maxes out at 6,750 RPM. Available in High Tech Silver or Forest Green, the 2017 Aprilia Shiver 900 will hit the road at $15,190 plus on-roads.